The cool touch of Quality. 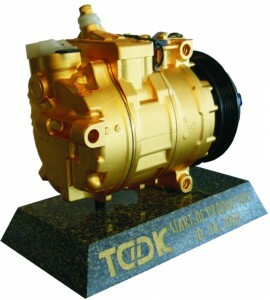 TD Deutsche Klimakompressor GmbH (TDDK) was founded in August 1998 and production started in April 2000. As a joint venture of the Japanese automotive suppliers Toyota Industries Corporation and Denso Corporation, we are one of the leading manufacturers of compressors for car air conditionings in Europe. We are producing on machinery and equipment, mainly developped and designed in Japan, and deliver to all renowned car makers such as Daimler, BMW, Audi, Volkswagen group, Opel, Renault, Peugeot, Toyota, Nissan, Ford, and Fiat . A transparent quality assurance systems sets our high standards to perfection. From the casting of the aluminum housing parts through to the automated machining and assembly lines, TDDK manufactures compressors in high-volume production. Since 2013, clutches, connecting the compressor with the engine, have been produced here, too. TDDK’s success is not only based on high-performance products and high-technology production equipment, but also on the daily efforts of our highly motivated associates. … the first-of-its-kind swash plate compressor with variable volume. It is the centerpiece of the air conditioning compressing the coolant within the the cooling system. 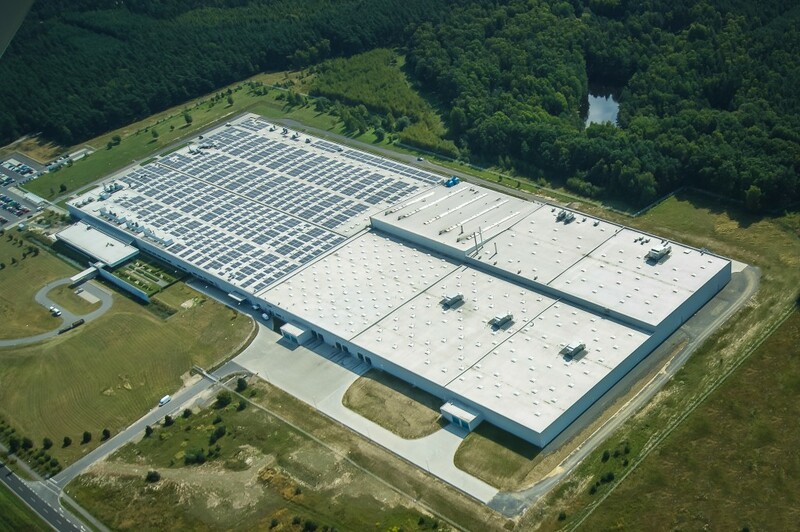 … is located in the industrial area of Bernsdorf / Strassgraebchen, close to Kamenz and only 150 kilometers South of Berlin.